Duck Creek - Experience this homes quality workmanship and finishes. New over 300 sq foot family room. Three bedrooms with 4th sleeping are in the loft and two baths located in Duck Creek Pines with year-round access. Elegance and forest setting provides the complete cabin experience. The kitchen is fully equipped with every detail you can think of stainless steel appliances, double oven, soft closing custom cabinets, granite counter tops and breakfast bar. Elegant flooring and light fixtures throughout. The great room features vaulted ceilings, stone fireplace and room for entertaining. Relax on the spacious covered porch or by a crackling campfire. The attached garage with storage for your mountain toys. Experience Duck Creek Village all year round! Enjoy snowmobiling, skiing, ATV riding, fishing, hiking and the abundant wildlife & gorgeous scenery. 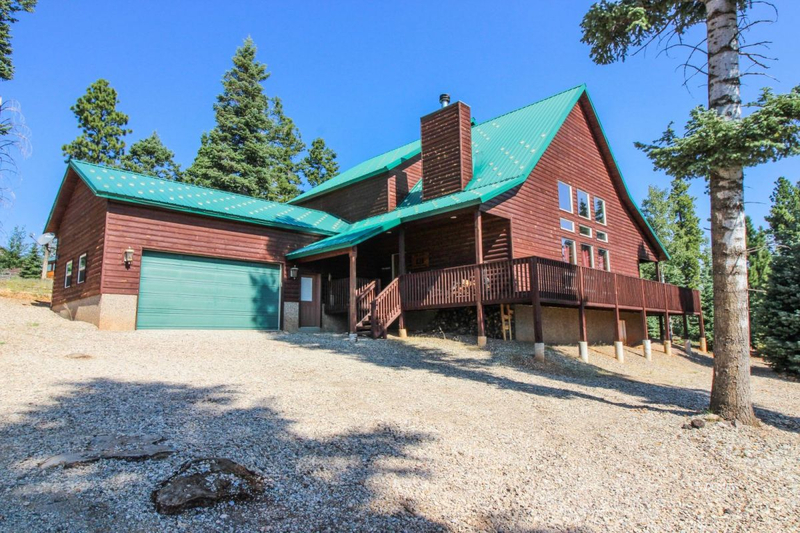 Sellers love the area so much they are buying another Duck Creek Pines cabin. Furniture to be negotiated on separate bill of sale.